Filma Puff Pastry Shortening is a high-quality vegetable fat made entirely from refined and deodorised selected vegetable oil. Developed specifically for making puff pastry dough, with good plasticity and melting point to produce optimal layers of puff pastry, resulting in a crispy texture when baked. Best for puff pastries such as Saucijs Brood, picnic roll, Vols Au Vent, cheese stick, and Zuppa soup. Filma Baker’s Cream Fat is a high-quality vegetable fat made from selected vegetable oil. 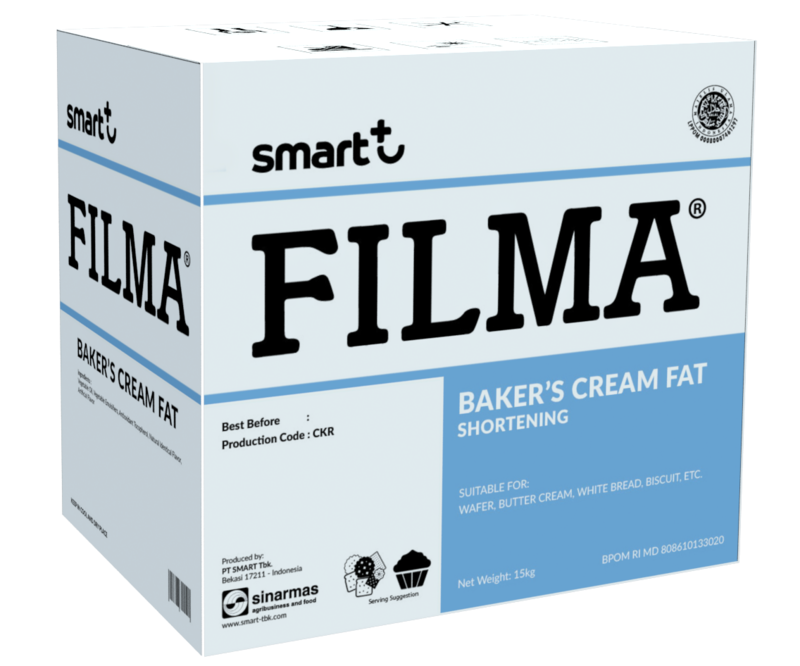 Filma Baker’s Cream Fat formulated from trans-fat free vegetable oil and natural antioxidant. With good creaming ability, low melting point, and vanilla flavour delivers perfection for your bakery products such as for wafer, buttercream, bread, and biscuit. 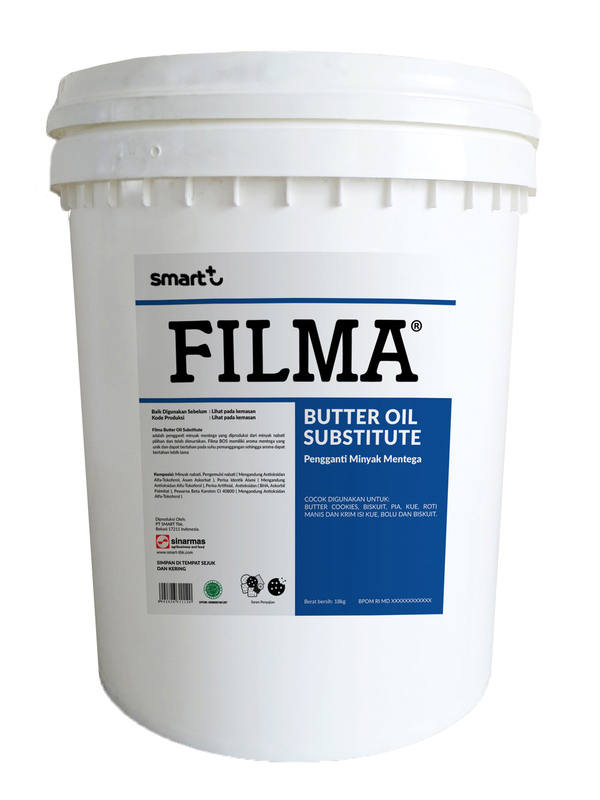 Filma Butter Oil Substitute (BOS) is a substitute for butter oil made from refined and deodorised vegetable oil. Filma BOS has a unique, bake stable buttery aroma, making the flavour lasts longer in bakery products. Best for butter cookie, biscuit, pound cake, Chinese pia, cake, sweet bread, and cream filling for cakes. 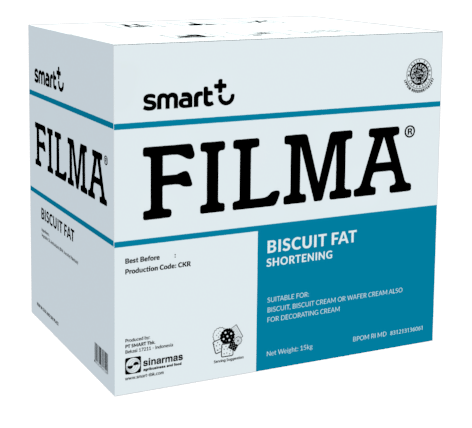 Filma Biscuit Fat is a high-quality shortening from selected and refined vegetable oil, made specifically for premium biscuit industry. Best for biscuit dough, biscuit filling cream, high-quality bread, and decorating cream for cakes. 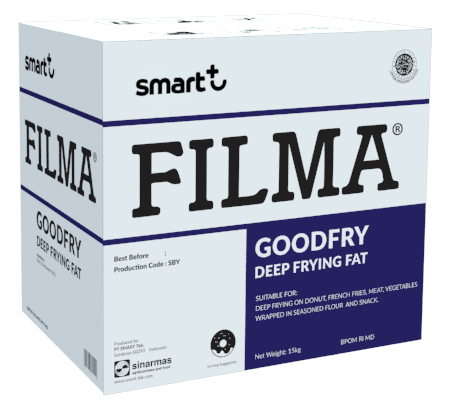 Filma Goodfry Deep Frying Fat is a high-quality frying fat that specially designed to be used for deep frying. 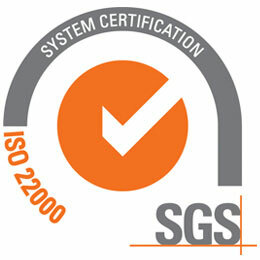 It possesses high smoke value that makes it more stable at high temperature. Best for deep frying doughnut, french fries, meat, vegetables wrapped in seasoned flour, and snacks. 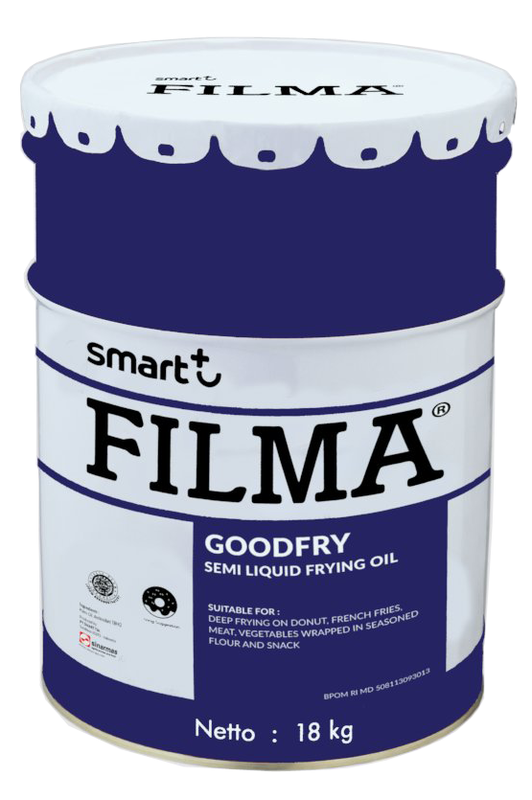 Filma Goodfry Deep Frying Fat is a high-quality frying fat that is specially designed to be used for deep frying. It possesses high smoke value that makes it more stable at high temperature. Best for deep frying doughnut, french fries, meat, vegetables wrapped in seasoned flour, and snacks. 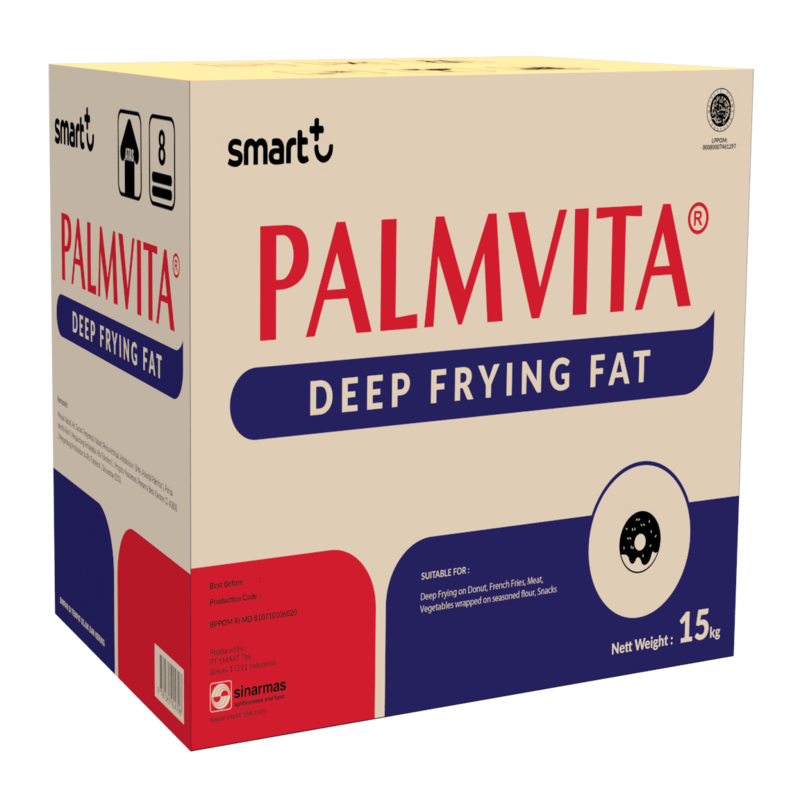 Palmvita Deep Frying Fat is specially designed for deep frying. It possesses high smoke point that makes it more stable at high temperature. 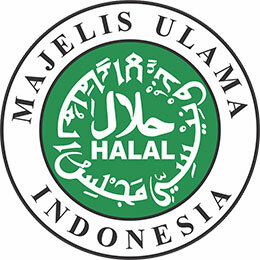 Best for deep frying foods such as fried chicken, french fries, doughnut, meat, flour-coated vegetables, and snacks. 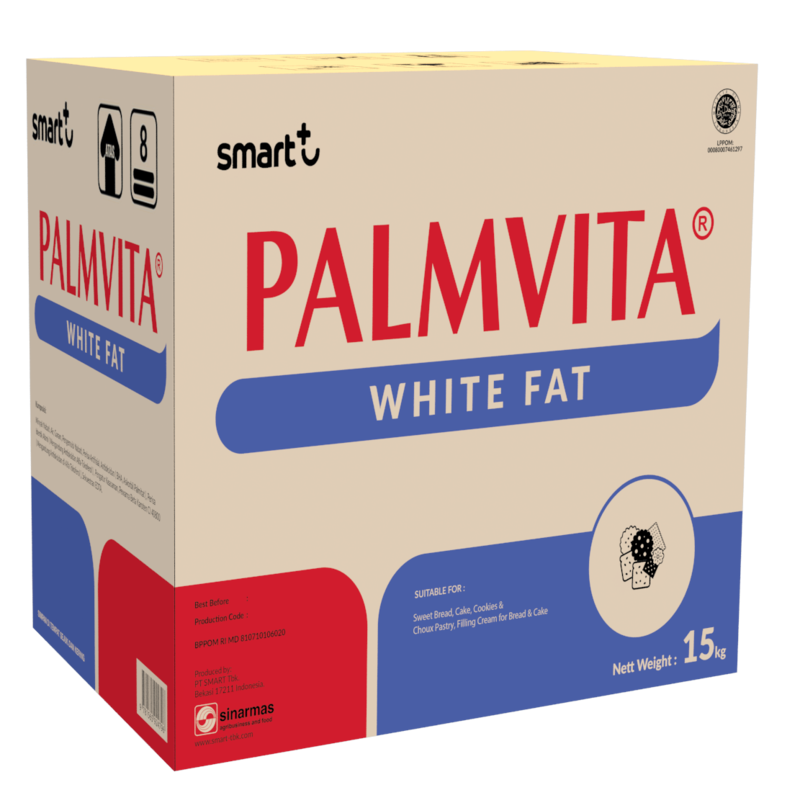 Palmvita White Fat is high-quality shortening, which possesses suitable melting point that makes it good for application of white bread, Chinese pia, and cream filling. 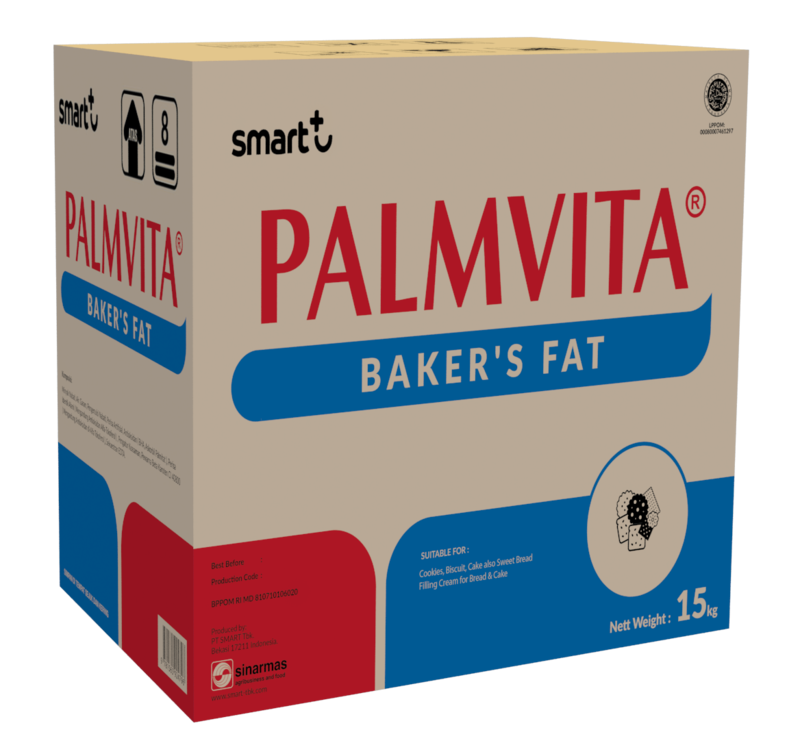 Palmvita Baker’s Fat is high-quality shortening, which possesses additional emulsifier for good creaming properties. It is good for biscuit, white bread, Chinese pia, and cream filling. 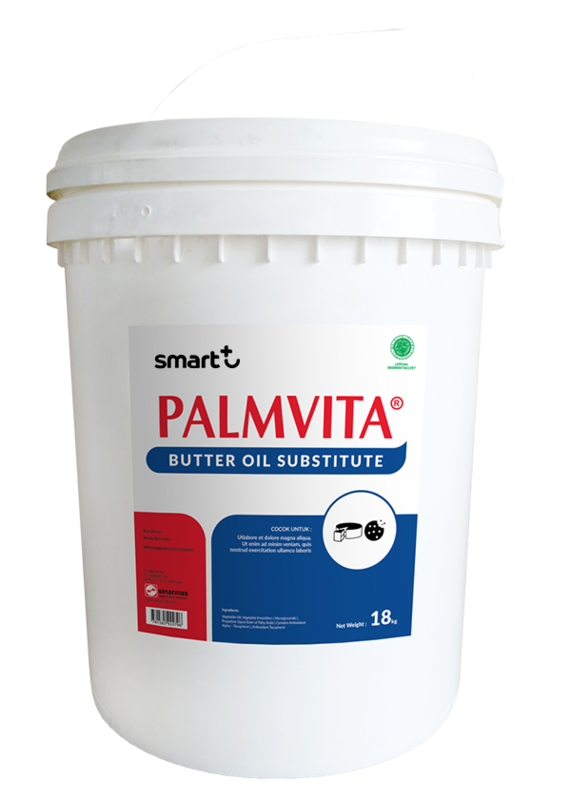 Palmvita Butter Oil Substitute (BOS) is more stable compared to real butter oil. It possesses low melting point and pleasant buttery flavour for application on bakery products. Best for cookie, biscuit, Chinese Pia, cake, sweet bread, cream filling for bread and cake. Menara Baker’s Fat is economical shortening with additional lauric oil, which possesses good creaming properties. It is suitable for biscuit, white bread, cream filling, and cake decorating. 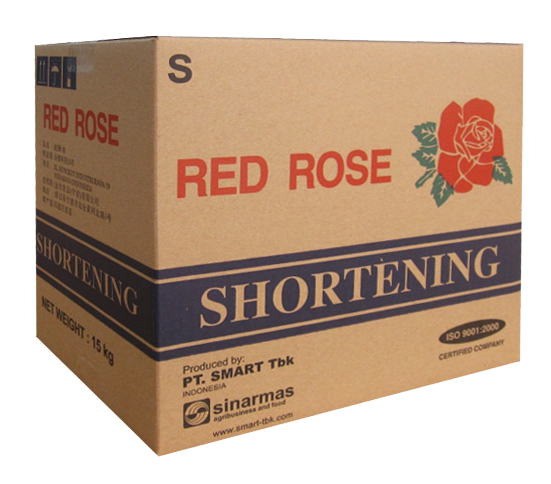 Red Rose Shortening is a multipurpose shortening. It has an excellent melting point and creaming value that makes it suitable for application of bread, biscuit, cream filling and whip cream. 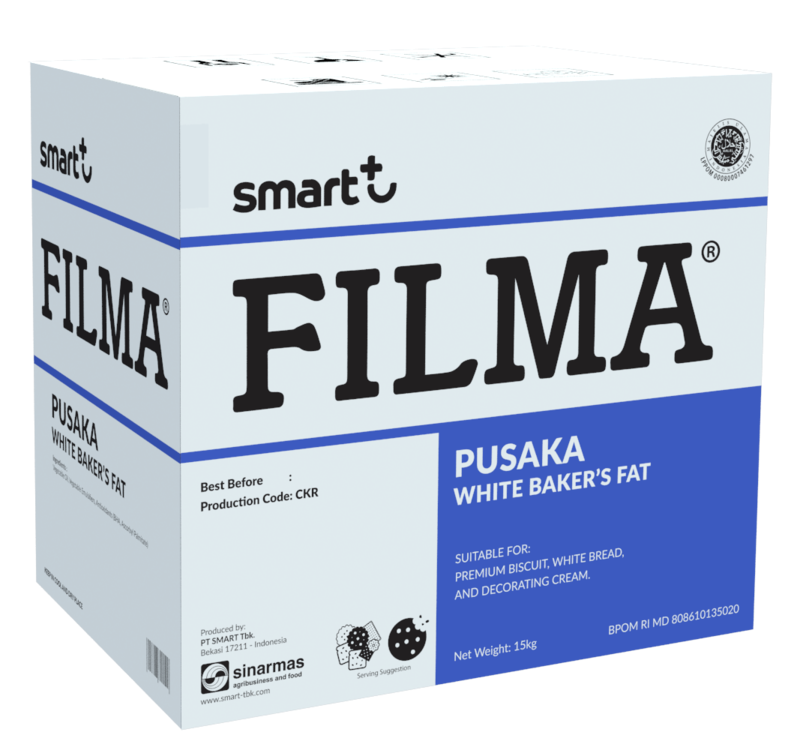 Filma Pusaka White Baker’s Fat is a high-quality shortening made from refined selected vegetable oil. 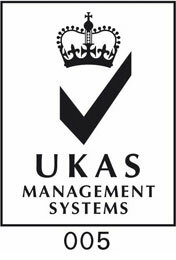 It has an excellent melting point and optimum creaming value. Best for decorating cream for cake, biscuit dough, and high-quality bread.